Warsaw, Indiana-based Zimmer Biomet Holdings, Inc. has announced the first surgery using its ROSA Knee Robot for a total knee arthroplasty (TKA). The case was performed by Dr. Dugal James at St. John of God Bendigo Hospital in Bendigo, Australia. 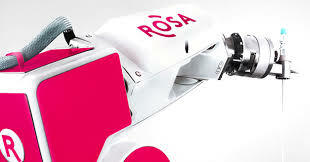 ROSA Knee, which is pending 510(k) review in the U.S., is designed to help surgeons optimize the accuracy and efficiency of TKA surgery. “This technology enables me to personalize the surgical plan based on each patient’s individual bone and soft tissue anatomy prior to the total knee arthroplasty, which allows for increased efficacy and accuracy during the procedure. During surgery, I am able to adjust that plan based on the knee anatomy and soft tissues in real time,” said Dr. James. “The ROSA Knee is an exciting and promising component of our growing robotics portfolio, which prioritizes the surgeons’ needs for a technology that complements their expertise and provides accurate, efficient, reproducible and data-driven results,” said Todd Davis, Zimmer Biomet’s Vice President & General Manager, Global Knee Business. PreviousWill the FDA ban reusable orthopedic implants? NextWhy are surgeons reluctant to perform total disc replacements?